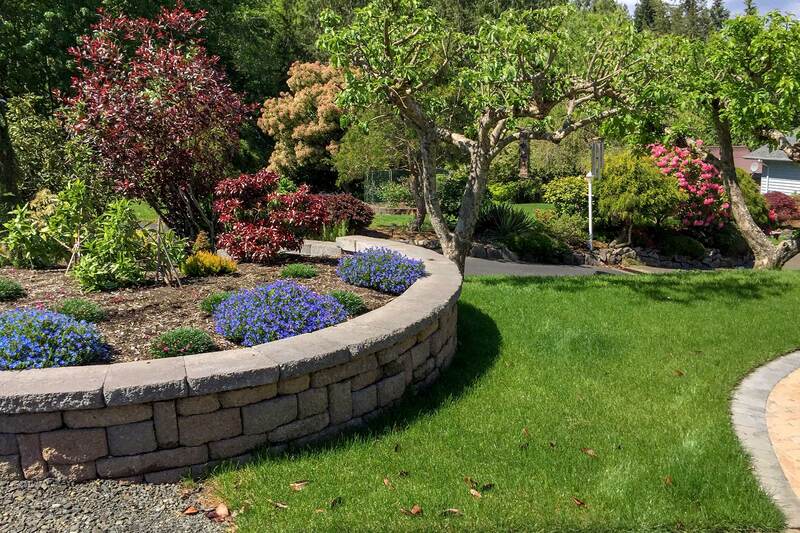 This beautiful backyard is a complete remodel of a dated, 1970's style landscaping job. 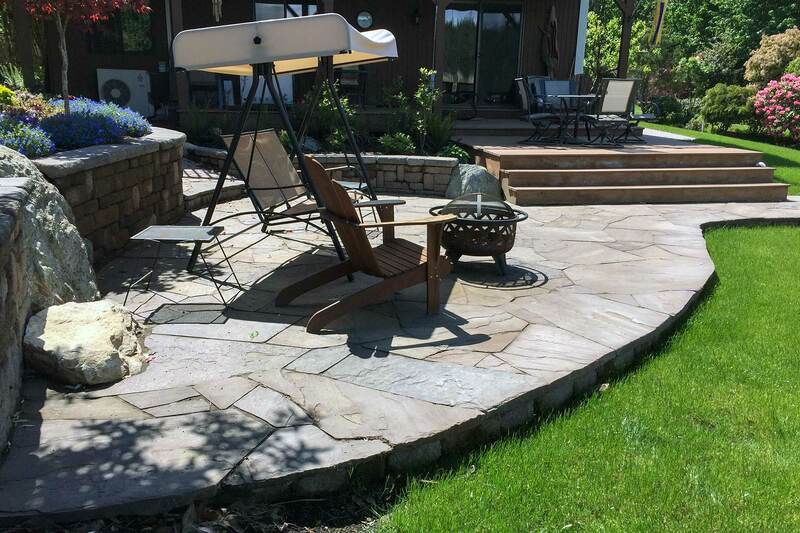 Dreamscapes replaced a deteriorating aggregate concrete patio with this raised lavender flagstone. 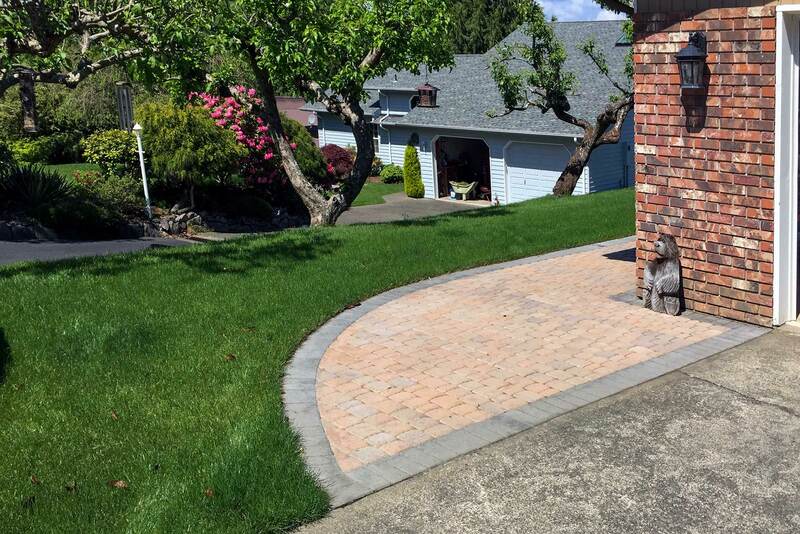 This paver patio wraps around the side of the house, providing access to both a second floor entry and the rear patio. 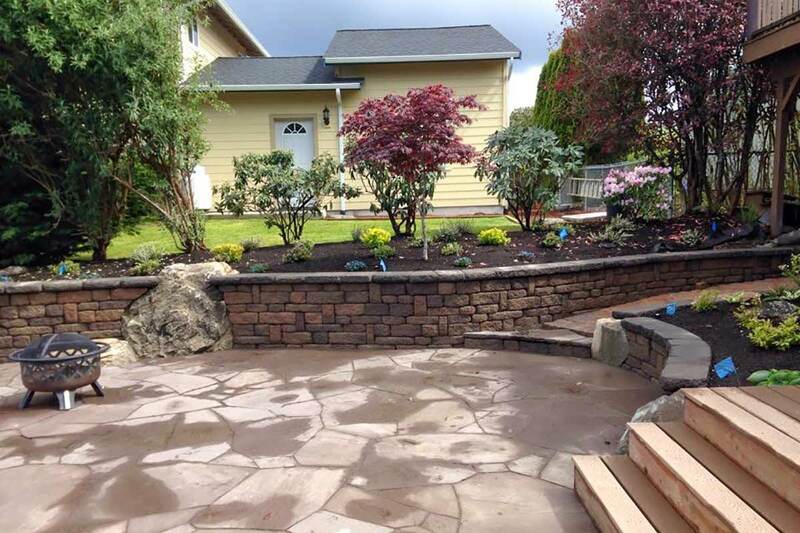 A rear view of the wrap-around paver patio. The new patio replaced aggregate concrete. 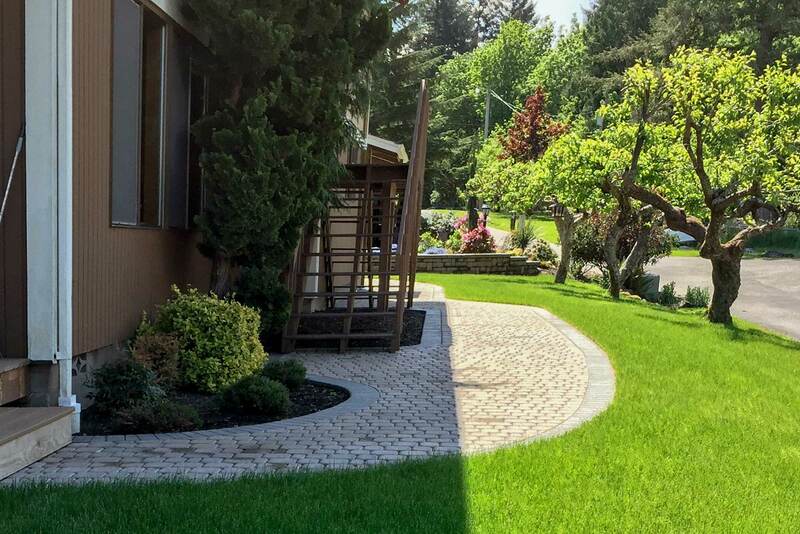 Dreamscapes did everything for this Shelton area home, from the flagstone raised patio and wrap-around paver patio to the retaining walls, landscaping beds, softscaping and sod. 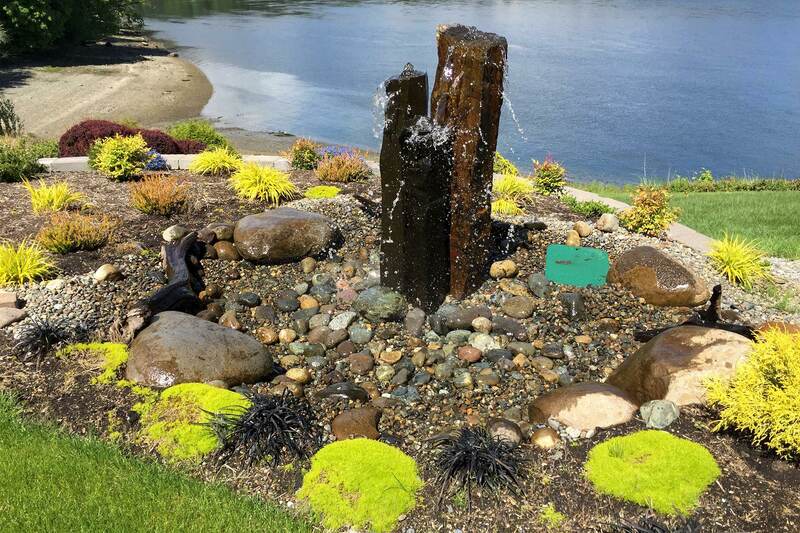 As a finishing touch, Dreamscapes installed this rockery and water feature overlooking Puget Sound.